Did you ever get a chance to try Nyxathid in this deck? If you did how’d it go? up the lands to 24, and cut anything costing 5+ mana. try to run full playsets of your spells, to improve consistency. you definitely don't want to use Killing Wave when your win condition is creatures, because you'll have to pay the life too. not just your opponent. if you want to run Nyxathid , you'll need more discard spells. 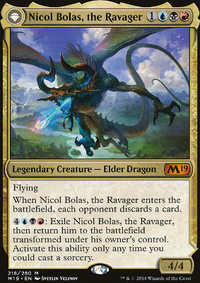 if you wanted to go a "black devotion" route, you'd need to run creatures that cost double or triple black, such as Geralf's Messenger (try to avoid creatures with colorless portions in their mana cost for the most part). then you could use Crypt Ghast and Nykthos, Shrine to Nyx to mana ramp into a big Consume Spirit , Exsanguinate , or Torment of Hailfire . I would cut the four Nyxathid because it does not work well with Innocent Blood and Smallpox and would add 4 Funeral Charm . 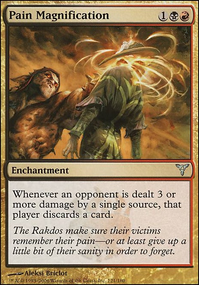 Another budget card for 8-rack is Chain of Smog as Hymn 5-8. Liliana's Caress is a strictly better Megrim . Liliana of the Veil is a lot cheaper than Liliana Vess . 18 lands is too little for the high curve you play. Normal 8-Rack runs 24 to hit 3 lands on turn 3 so I'd recommend a few more ( Blood Crypt , Blackcleave Cliffs , Bloodstained Mire .) 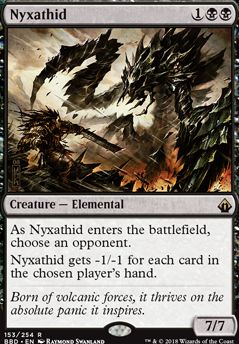 I'd also cut Nyxathid from the mainboard so any removal your opponent has is useless Game 1. I have Nyxathid . Never tried it in devotion though. Only ever in 8 Rack. I’ll test it out. I have to agree with you about Geralf's Messenger being clunky, actually. I've been playing a similar mono-black midrange list for about 6 months now and I too find that dropping him on turn 3 just doesn't cut it for most match-ups. I've tried combinations of Nyxathid , Nightveil Specter and even Phyrexian Crusader in his place and they generally have more of an impact when they hit the board. Nyxathid especially has caught a lot of people off-guard. I really hope we can make a deck viable for Phyrexian Obliterator in the current meta, as he (she?) is probably my all-time favourite card! Cool deck man! Looks like you're into discard quite a bit here. 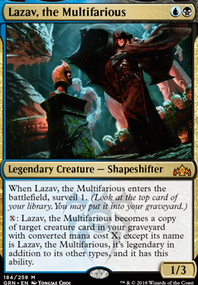 Definitely wouldn't want to mess with what you like, but I can absolutely name a few cards for mono black that are better when graveyards are huge. Here are a few in no particular order. All of these should be on the cheaper end of the spectrum. Nyxathid , Nighthowler , Hypnotic Specter , Liliana's Reaver , Shrieking Affliction , Persecute , and Isochron Scepter . 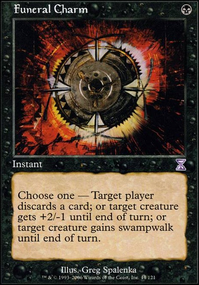 That last one is a bit steeper, but it would let you reuse instant and sorcery cards for even more constant discarding. If your playing a rack deck at the moment, you should probably be main-decking graveyard hate. Too many modern decks use the graveyard as a resource... Necrogen Mists is on occasion included in budget list to dummy as Liliana of the Veil , giving regular discard. Hostile Desert in a deck splashing white anyway, is possibly a worse Shambling Vent . 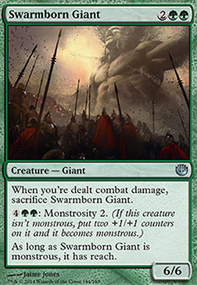 Vicious Rumors might be of more help than Duress, it's a new card though so I'm not sure. Liliana, Heretical Healer Flip might be usable from the sideboard, if you have something like Death Cultist or Nyxathid which could double as a threat. Hope this is of help, good luck with your deck.